ALL DAY, EVERYDAYAvailable year-round, or until we don't want to brew them anymore! 18 IBUs | 4.8% ALC. BY VOL. The LipSlide Lager stays true to the German style "Helles", with its distinct malt base and dry finish. This beer marks the realization of a 6-year dream. So whether you have achieved your goal, stuck that landing, or just feel like licking your lips, this smooth and refreshing lager is one for any occasion. 32 IBUs | 5% ALC. BY VOL. Sometimes heads will roll, even between life partners. However, at the end of the day, through thick and thin, you know they will always be there for you. 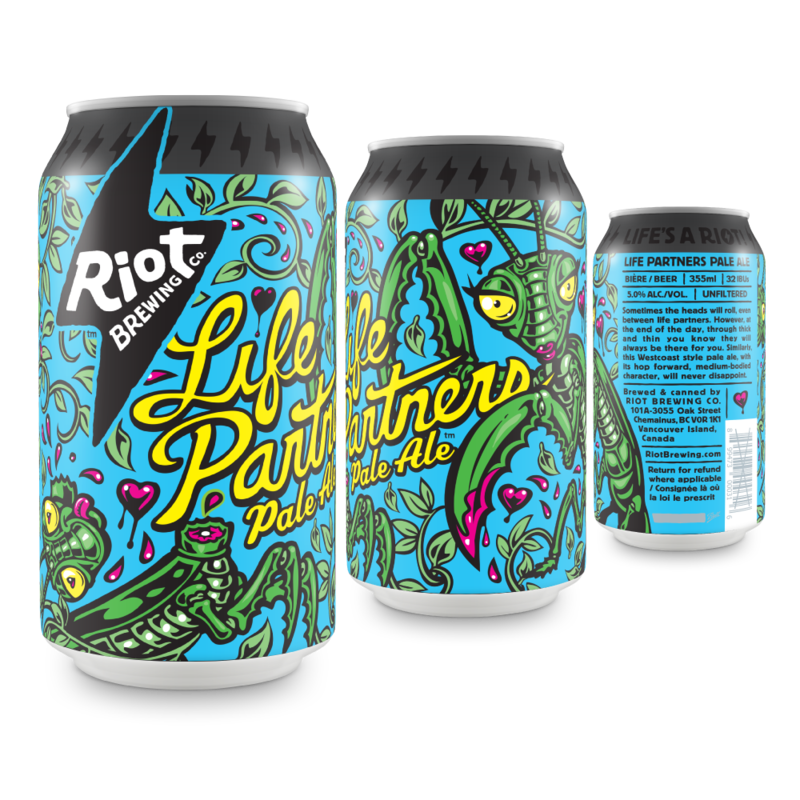 Similarly, this West-coast-style Life Partners Pale Ale, with its hop forward and medium-bodied character will never disappoint. 70 IBUs | 6% ALC. BY VOL. It's not always the punch you remember but sometimes it's the legacy of the hit. Junk Punch IPA is a tribute to those who have fallen victim to this heinous act, it offers a range of bold hop character, while remaining malt-balanced for a beer that is a welcome shock to the senses. This one is for you Big Nose. 14 IBUs | 3.8% ALC. BY VOL. Whether you wear coveralls or khakis, we brewed this for the working class hero in all of us. This lower alcohol Dark Mild, with its subtle roasted malt flavour and aroma sings cheers to the end of a long day. 19 IBUs | 4.2% ALC. BY VOL. We are a little tardy to the party, but here’s a beer. Sorry we took so long. (Oh, and by the way, this saison brewed with Belgian yeast is spicy, with complex aromatics and a slightly fruity finish). SEASONALSAvailable for a limited time only. Some of them will return, some won't. Make sure you try them before they're gone! 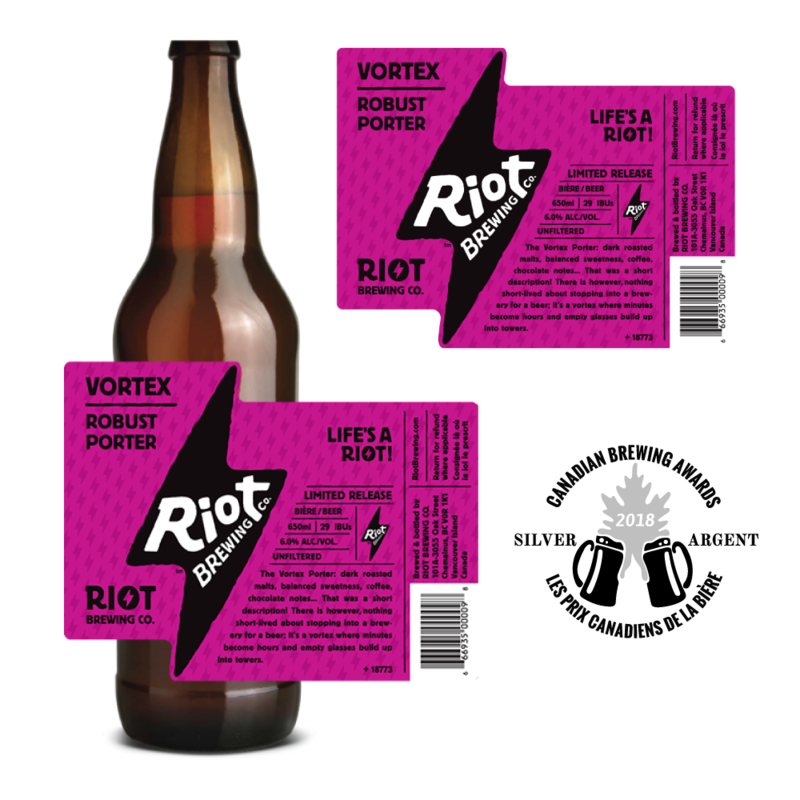 The Vortex Porter: dark roasted malts, balanced sweetness, chocolate and coffee notes. That was a short description. There is nothing short-lived about stopping into a brewery for a beer; it’s a vortex where minutes become hours and empty glasses build up into towers. Everyone makes mistakes. Here at Riot we believe in ridiculing ourselves when we make mistakes. It makes everyone feel better, right? 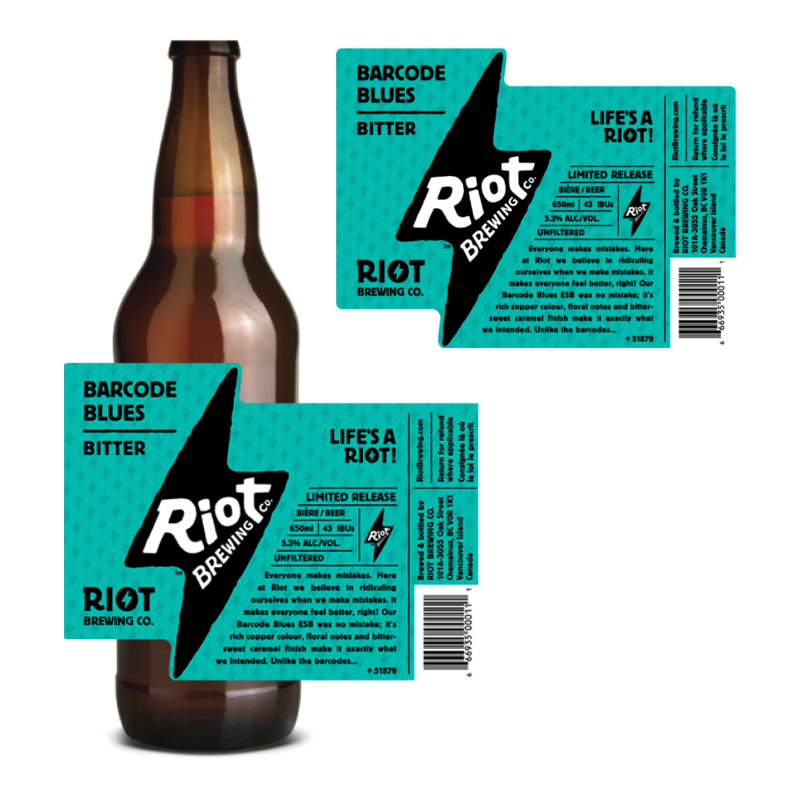 Our Barcode Blues ESB was no mistake; it’s rich copper colour, floral notes and bittersweet caramel finish make it exactly what we intended… Unlike the barcodes. We love our beer so much that we play music to it. It makes the beer happy. This happy classical pilsner has a golden hue, complex herbal flavours, and crisp mouthfeel. So why don’t you stop what you’re doing, and get to pickin’ up some good vibrations (oom bop bop). We apologize for not hanging out as much as we’d like. So much going on, you understand. Story of our lives. 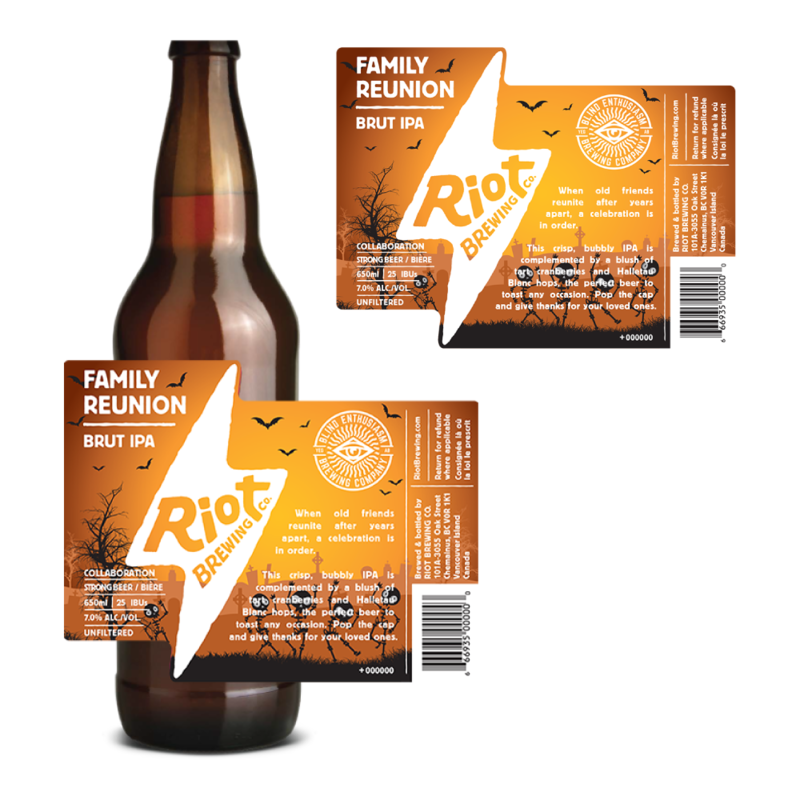 If this sounds familiar, crack open this super smooth, slightly tart summer Blonde Ale brewed with local black currants. We know you can pencil this one in. Even though it feels like we’ve been open for way longer, we made this dry-hopped, wheat IPA in celebration of our first anniversary. We went a whole year without blowing up the brewery or killing each other, and we’re pretty sure we haven’t made too many enemies. Thanks to everyone who has been a part of the journey. Cheers! It's been too long and we're glad to be back with our newest beer, a black gose made with a sack of Midnight Wheat, a power pack of Hawaiian black salt, blackberries running wild, and a hint of coriander, the Cadillac of spices. It's tart, it's dark. For those about to drink it, we salute you. COLLABORATIONSBeers we brewed with our awesome industry friends. Make sure you try them before they're gone! Good morning, sunshine! How’s that self-induced headache feeling? You could use a coffee… or a beer. Why not have both? This lager is masterfully brewed with super smooth cold-brewed coffee from our friends at Drumroaster, allowing us to put two of your vices in one bottle. Now you can tackle the day like a champion! We’re jumping for joy and spinning in circles with excitement over this collaboration with Gladstone Brewing Co. What started as a favourite pastime of our head brewer caught on and is whirling its way through the industry. Literally, he does 360s. Jump. Spin. Land. Done. Also known as a grätzer, this 100% oak-smoked wheat beer is an historical favourite in Poland. We wanted to make it, so we did, and it’s FABTAKSTIC. After a golden summer living like mountain men, we badly needed a barber’s touch down at the brewery. Enter: Victory Barbers. They love dark beer, we love Victory. This Dry Irish Stout is a medium-bodied, dry and refreshing Irish stout with notes of roasted malt, coffee and chocolate. Made in collaboration with Victory Barber & Brand, Straight Razor Stout is a match made in tonsorial heaven. Sometimes when old friends get together, everything seems to line up perfectly. 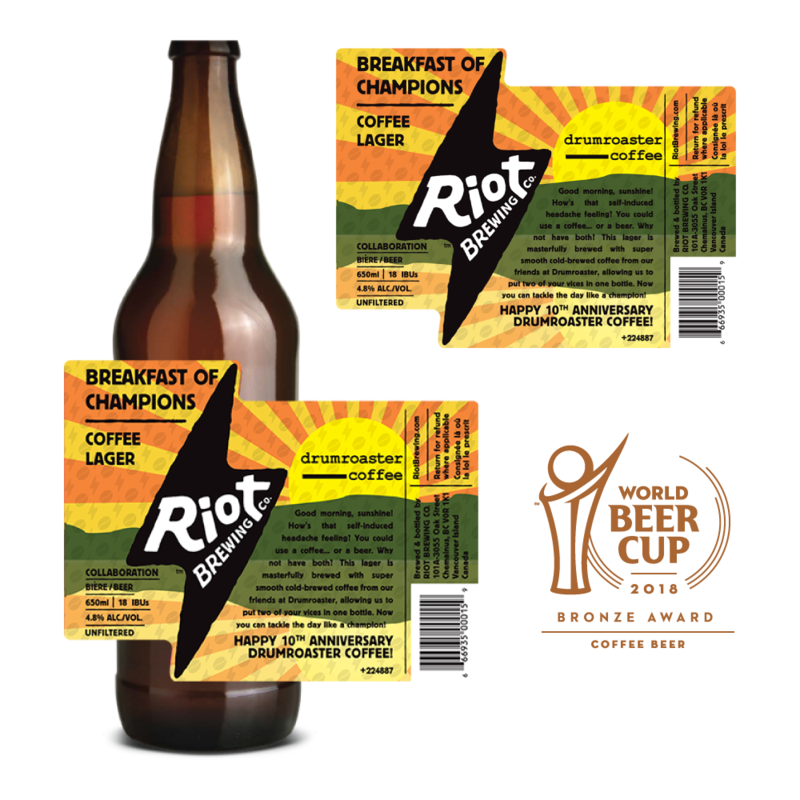 After working together for years at a big Vancouver brewery, Fab from Riot and Garritt from S.O.B are exactly in sync. So the boys teamed up to brew this unusual blend of styles, contributing elements from their favourite beers. It’s part lager, part ale. It’s crisp yet malty. It’s strong yet easy-drinking. It’s Synchronicity. When your vocal cords are shot from screaming along with the band, only one thing is going to keep you going all night long. 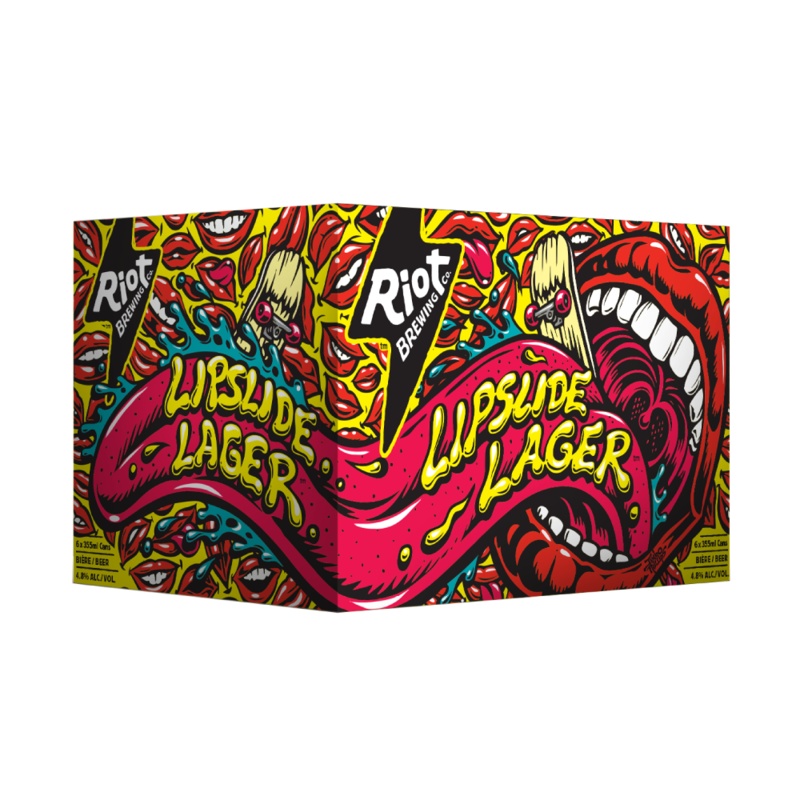 This sessionable Irish-Punk Singalong Ale is made with newly developed Loral hops for a crisp, fruity bite that refreshes and soothes that raspy voice box. Have a taste and get back in the pit! Grinning Barretts, this one is for you! When old friends reunite after years apart, a celebration is in order. Just like when the crew from Blind Enthusiasm Brewing visited us to make this beer. This crisp, bubbly IPA is complemented by a blush of tart cranberries and Halletau Blanc hops, the perfect beer to toast any occasion. Pop the cap and give thanks for your loved ones. MORE COLLABORATION BEERS ARE COMING SOON! Make sure to follow us on social media and check out our profiles to stay up-to-date with our latest news, collaborations, and any upcoming beer releases!